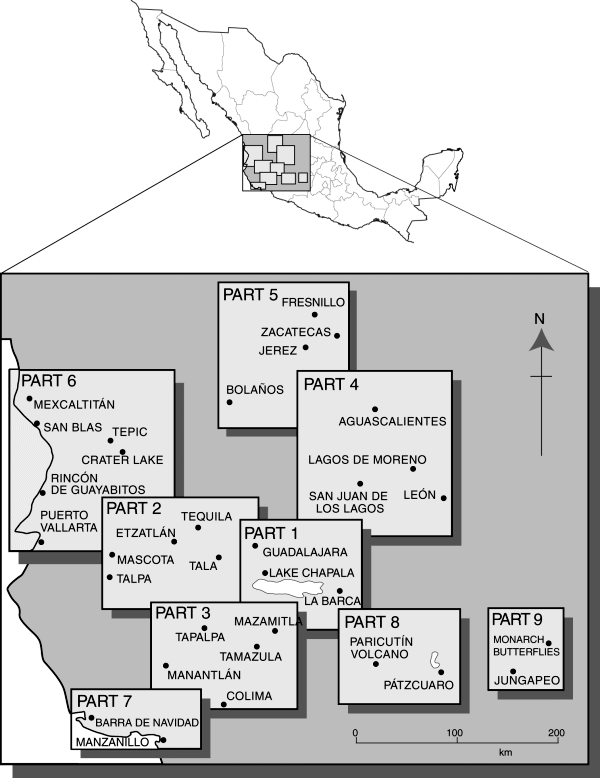 This map shows the areas covered by “Western Mexico: A Traveler’s Treasury” (4th edition). Note that many, many more places are described in addition to those shown on the map, which is only for orientation purposes. Each part of the book has its own detailed map.